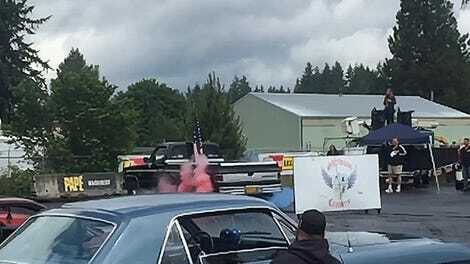 Meet one of the most insane diesel truck builds we’ve ever seen: Old Smokey F1. In its tastefully patina’d 1949 Ford engine bay lies a beautifully built twin-turbo diesel engine good for 1,233 horsepower at the wheels and 2,000 ft-lbs of torque. Holy crap, that’s a lot of tire-killing insanity. Just in case, do note the lovely nitrous bottle good for adding 375 more horsepower on top of the usual 1,233. There’s a handbrake for maximum stunt-power. There are tasteful speed holes for lightness, and a full roll cage. Also, how could we forget the exhaust pipe that’s as big as a cantaloupe? 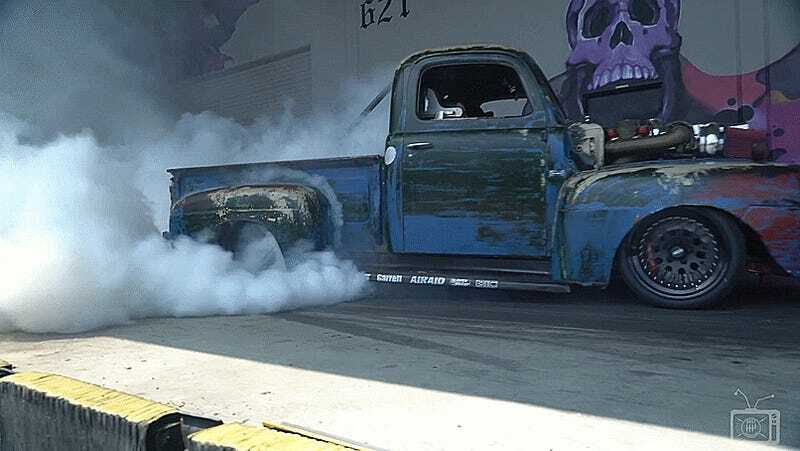 Owner Scott Birdsall eventually got talked into ripping some fat burnouts with Old Smokey F1, and the world is now a better place for it. It’s built for racing, but it does just fine burning ‘em down while still, too. Just wait for the turbos to kick in. 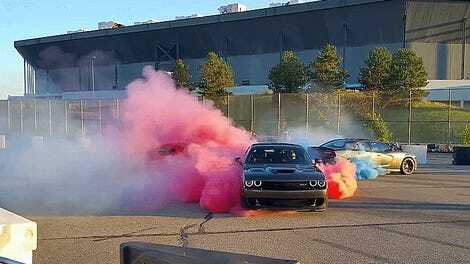 Time To Learn An Essential Life Skill From The Internet: Burnouts!